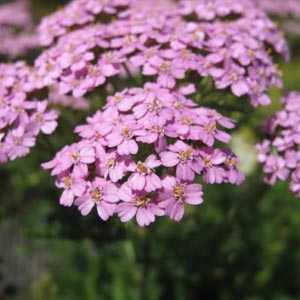 Achillea Millefolium Lilac Beauty is a hardy perennial is an unusual achillea with lovely pink flowerheads. It has fern-like foliage and large plate-like flowers. It is easy to grow and irresistible to butterflies. Flowers late spring until first frost. Position: Tolerates most soils but does best in a sunny well-drained site.